Weekday Special! Pet guaranteed in Doggie Chance! This week's Weekday Special campaign! A Pet guaranteed in Doggie Chance!! 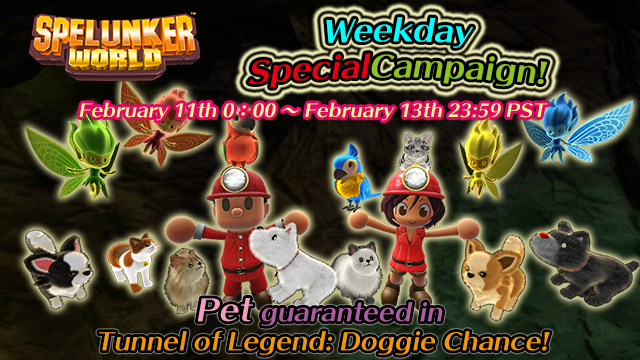 a Pet is guaranteed in Doggie Chance at Doggie Digging Tunnel of Legend! Check details for Pets here! Let's all try Doggie Chance!